version: FirstGo 1.304 (Jan. 2008) plays with 32 min (1920s) time setting for 19x19 (average time used: 20,4 min/game) and 16 min (960s) time setting for 9x9 - same version with 64 min (3840s) time setting for 19x19 to show scalability. info: Language: C - The main program consists of about 40K lines of code. 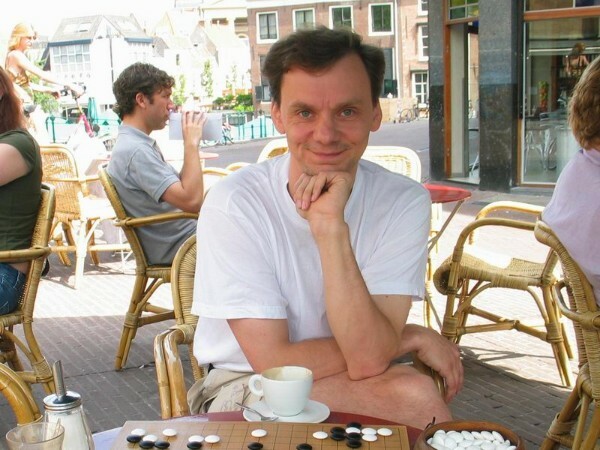 - Edward de Grijs told about his program: "Birth: 1-Sep-2005 - this is also the moment from which I myself learn to play go (I am about 9k/8k now). First year the algorithms were made in the traditional way (different local AND global alpha-beta searches). After that MC and UTC like. No fuseki or joseki sequences are used." - Same version played as firstgo-304_1cpu (on a slower P4) on CGoS and reached a ranking of 2135 for 9x9 (2008-02-08). - Actual version plays as 'firstgobot' on KGS! link: interview with E.de Grijs at the 12th ICGA-ComputerOlympiad, Amsterdam 2007, where FirstGo came 4th in 19x19 Go together with GoIntellect and ManGo. info: Fuego is a collection of C++ libraries for developing software for the game of Go. It includes a Go player using Monte-Carlo tree search. authors: GNU/Free Software Foundation - many people from all over the world have contributed, maintainers are Daniel Bump, Gunnar Farneback and Arend Bayer. info: Free Software, algorithms and source code are open and documented. info: started in 1983 Language C - Since January 2004 Tomotaka Urasoe (6d) works on the pattern database full-time - prices and top placements in many computer Go tournaments, e.g. 1st in my 13x13 contest 2002, Osnabrück and 1st in the 7th Computer Olympiad 2002, Maastricht. link: further information / New version 7.0 available! There is still an old link with screenshots of one of the very early original ATARI-versions of this software. This is a german manual and description of the program and its functionalities at the time when there were plans to distribute GoAhead with a software collection for the Atari Computer.